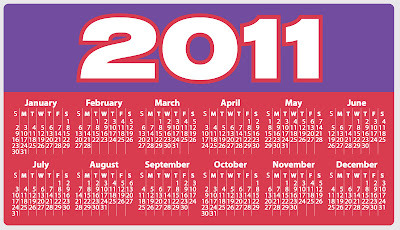 Well, 2011 is nearly upon us. With that in mind, I've decided to jot down (digitally, of course) the gaming-related things I'm most looking forward to--or hoping for, in some cases--in the new year. * The worldwide release of the 3DS system. * An announcement that Final Fantasy V and Final Fantasy VI remakes are being developed for the system. * Information (via screenshots, video, etc.) that suggests the folks at Nintendo have (wisely) decided against making the characters in Animal Crossing 3DS more realistically proportioned. * A European and North American release of Professor Layton and the Specter's Flute (aka Professor Layton and the Flute of Malevolent Destiny). * The European release of Inazuma Eleven. * A North American release of Final Fantasy IV Complete Collection. * A North American UMD release of ClaDun 2--with the first ClaDun, previously a PSN-only title in the States, included as a bonus (à la What Did I Do To Deserve This, My Lord!? 2). * The release of the PSP Minis version of Pac-Man: Championship Edition. * A price drop of the basic PS3 system to $199. * A price drop of the Xbox 360 "Arcade" system to $149. * The release of the first screenshots of Dragon Quest X. * The Japanese release of Rhythm Heaven Wii. What games, systems, etc., are you looking forward to in 2011? Waitwaitwait...they re-proportioned the Animal Crossing characters? Good! Oh my gosh...the screens I saw with the tall characters were gross. And...Dragon Quest X on the Wii? Where the hell have I been?! This is exciting news! Oh, I'm sorry I got you excited, Justin. What I was trying to say RE: Animal Crossing is that I'm *hoping* they will reconsider those tall (barf) characters. So, like, I'm looking forward to them releasing info in that regard. Does that make sense? Maybe I should clarify my post, as some/many of the things listed are things I'm for which I'm hoping/wishing. Not DQX on Wii, though -- that's been announced/mentioned on at least two occasions. It's possible Yuji Horii has changed his mind and moved it to the PS3 or 3DS, but that's extremely doubtful. As such, most people think he, Square-Enix and Nintendo will reveal more info on the title sometime this year (if not release it this year). Note: In most cases, when I begin a bullet-pointed item with "the," I'm referring to something that has been announced or is extremely likely. When I begin a bullet-pointed item with "a" (as in, "a North American release of FF IV Complete Collection"), I'm referring to something that I'm hoping or wishing will happen in 2011. Sorry if I've confused anyone! OH, see, I thought it was speculation until you said something about screenshots...dang. Well, in that case, I'm wishing for it right alongside you. Yeah, after thoroughly enjoying DQIX -- more than any other game this year, I think -- I'm *really* looking forward to DQX on the Wii. I've yet to play my copy of DQ8, unfortunately. I'll get to it eventually, though!